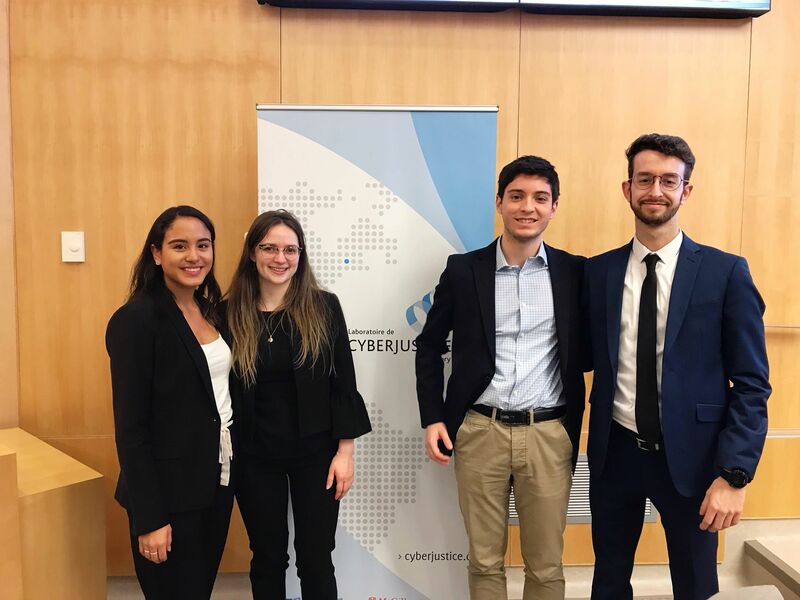 On January 25, a captivating trial simulation took place at the Cyberjustice laboratories of the Université de Montréal. 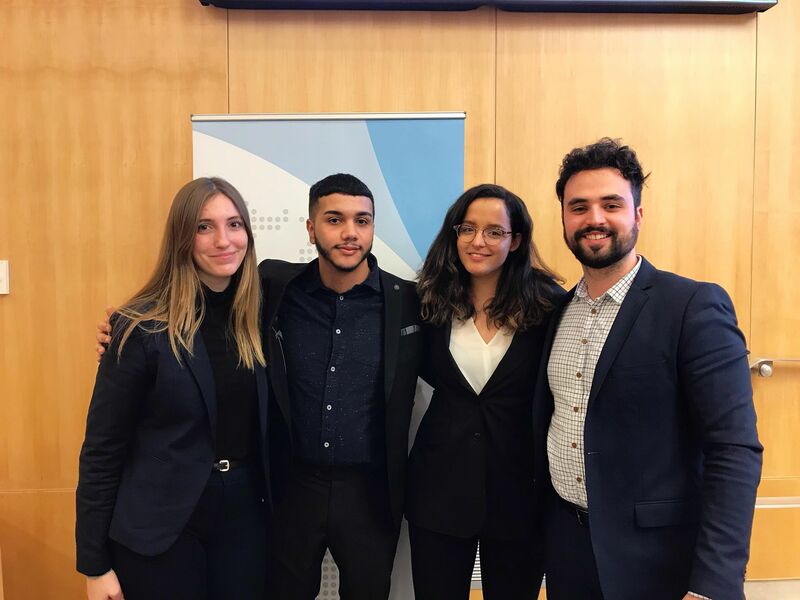 This event, organized by the Comité Droit et technologie of the Law Faculty, meant to integrate some of modern day technology in the administration of a trial. This also provided two teams of promising law students (Team A: Viviane Laberge, Katia Medina, Simon Lacoste, and Nicolas Saint-Amour; and Team B :Chloé Benoit-Proulx, Valentina Gueorguieva, Amine Ch, and Sam Kennedy) the opportunity to get acquainted with the various trial techniques and to demonstrate their skills as litigators in the midst of a fictitious but very challenging lawsuit centered on the civil liability of social medias and the protection they provide to confidential data they collect on their users. For the second year in a row, Me Jean-François Latreille ofDUBÉ LATREILLE had the privilege to assume the role of a judge together with 2 remarkable colleagues from McCarthy Tétreault (Me Lea Chebli) and Gowlings (M. Nareg Froundjian). DUBÉ LATREILLE praises the commitment and dedication of Mr. Nathan Hassan, President of Comité Droit et technologie, and members of his committee for organizing this event, and congratulates warmly both teams for an inspiring performance that significantly prolonged the deliberations of the judges!